Note: Soft ground cleats should not be used on artificial turf. 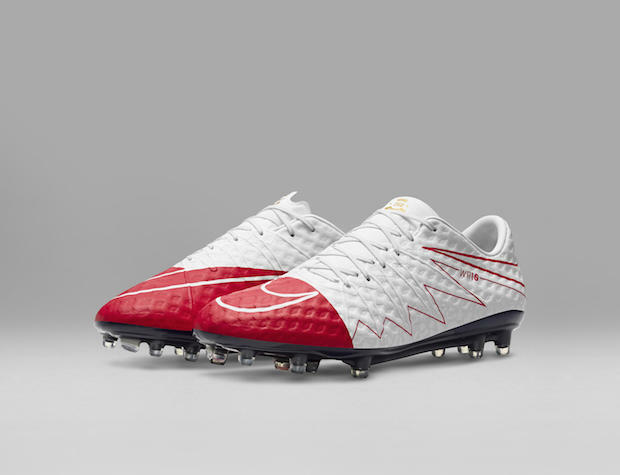 The Nike Magista Obra is no doubt one of the most popular boots on the market today, and for good reason. The revolutionary design of the Dynamic Fit Collar and the first to feature Flyknit material all over the boot made the Obra an instant sensation. The laces on the boot are pushed to the medial side to offer a larger area to control the ball. The Flyknit has a layer of Nikeskin to offer better durability and has ACC treatment to offer superior touch no matter the conditions. 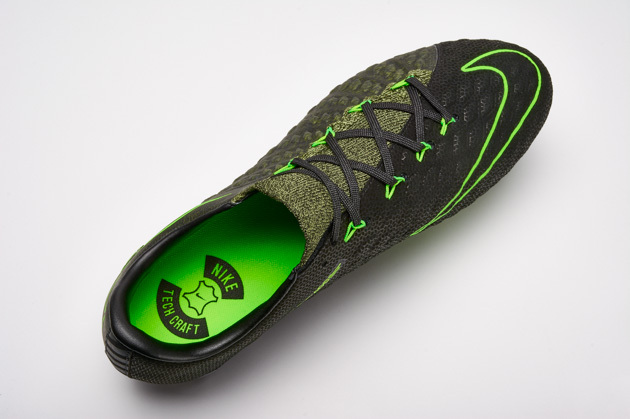 The control boot from Nike fits perfectly on your foot and offers a great feel for the ball. An external heel counter is included on the boot to help reduce the hit from some of those crunching tackles near the heel. The soleplate features a hybrid Pebax and nylon soleplate to offer great flexibility and allows the player to be agile out on the field. The soleplate on the SG-Pro variation has a mix of removable aluminum studs and fixed conical studs to help you get maximum traction on wet and soggy playing conditions. 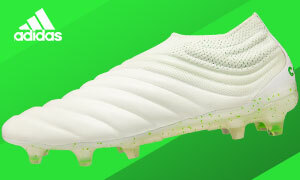 For those extra muddy conditions Nike have included a tube with a tool and extra studs that are 13 mm and 15 mm in length to really help you penetrate the ground and get better grip on the field. The Obra is one of the most comfortable boots on the market after break-in time and will offer one of the best playing experiences available today. The latest Total Orange/Violet/Black colorway from Nike comes to us through the Intense Heat Pack. 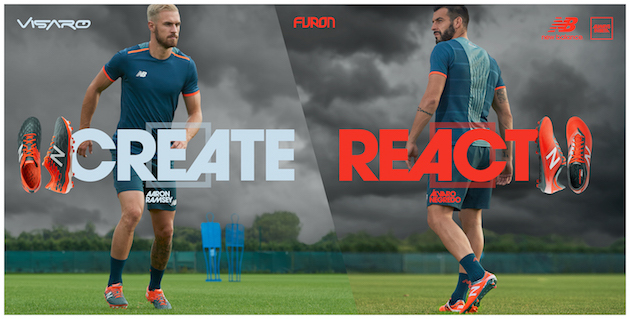 The pack was designed with serious brightness to help players stand out on the pitch. Personally, I was not a fan at first of the Intense Heat Pack Obra but I have to say, it has truly grown on me and now I am a huge fan of the look of these boots. The cleats look incredible on feet and when you are in a match, you are sure to turn some heads with this colorway of the Obra. 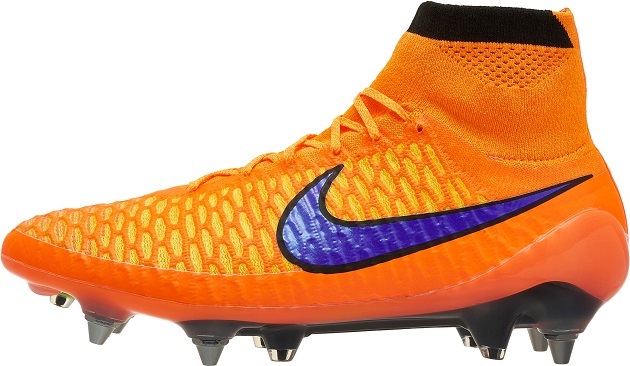 If you are a fan of bright and colorful soccer cleats, love the Magista Obra, and need a pair of soft ground boots, then the Intense Heat Pack Obra is the one for you. Check it out over at SoccerPro.com today!